You’re pregnant! Now what? Photos of course! 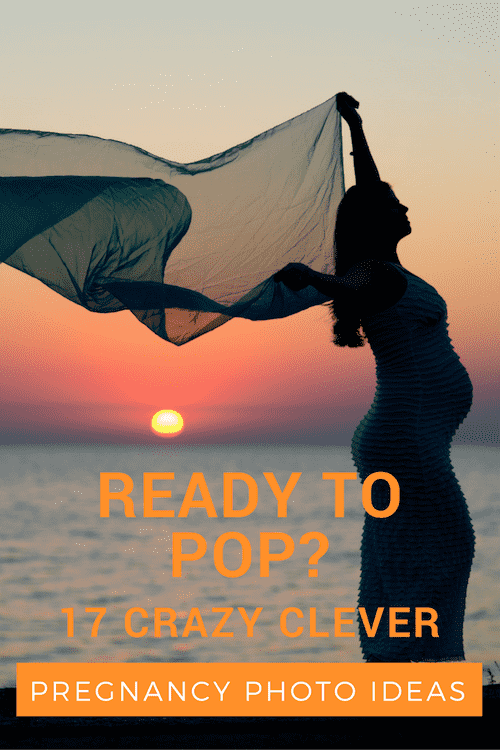 Sure, we realise there are a lot of super important things to think about when you’re pregnant, but arranging maternity photos is not only a lot of fun – it can also give you a moment to pause and reflect. So be sure to add it to your list of things to do! 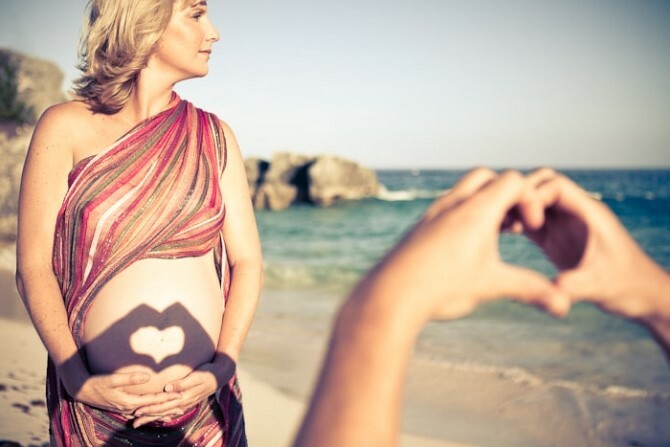 Whether you’ve just found out or you’re in your third trimester, these pregnancy photo ideas will be a delight to look back on in years to come and a joy, straight away, to share with your friends and family. Take a picture of your belly that shows how little of your legs and feet you can see. This idea is super fun in the third trimester, but if you take a photo like this each month from the day you find out you’re pregnant, you can build an awesome collage once the full picture is complete. 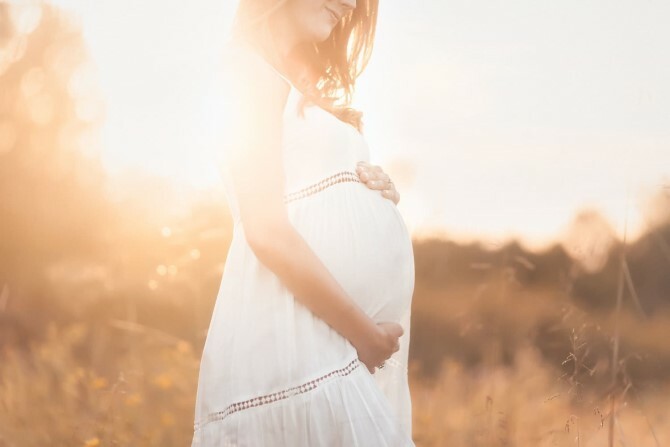 To remember that beautiful period of your life, treat yourself to a professional maternity photo shoot that celebrates the beauty rather than the discomfort. Share a magic moment with your oldest child or children. Get the kids involved, excited and invested in the miracle of new life. This is a great pregnancy announce for the computer nerds out there. Choose your percentage and share with the world. 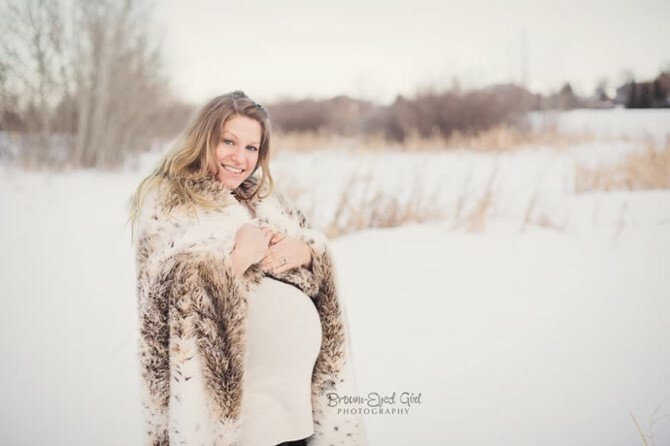 Choose a theme for your maternity photo to suit the time of year you’re due. 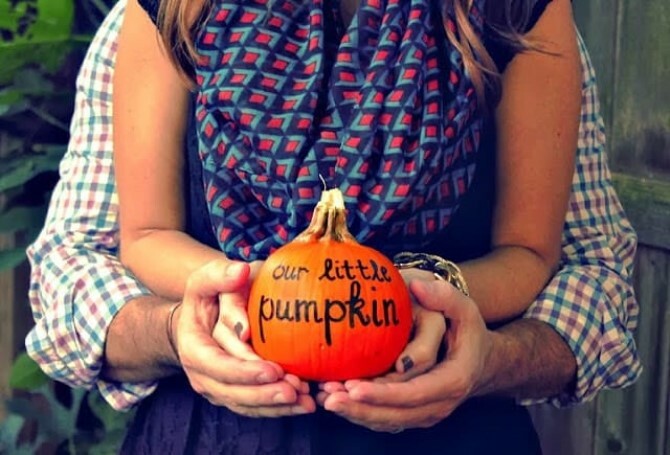 For example, this pumpkin idea’s a good one whether you’re expecting to pop around Halloween, during pumpkin season or just love the cutesy term ‘little pumpkin’. Count down the action with your family. So much cute! One for the beach bunnies. If you’re too nervous about a solo shoot in a bikini, get the whole family involved to make it a much more comfortable experience. Rock that bikini, girl! 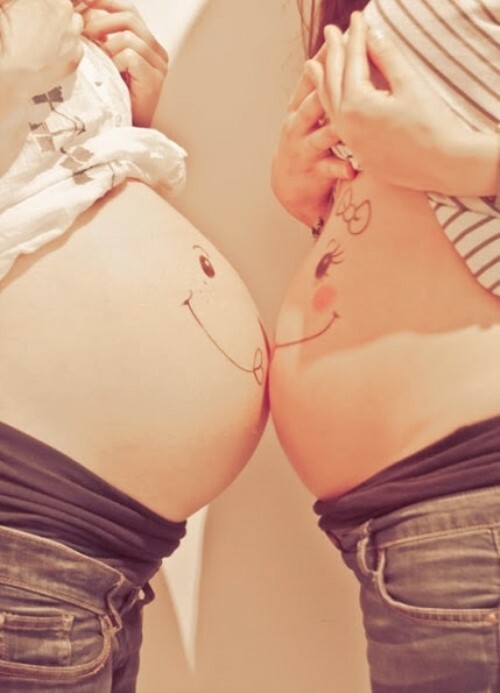 Got a sister or a bestie who happens to be pregnant as well? Pucker up and let those bellies kiss. 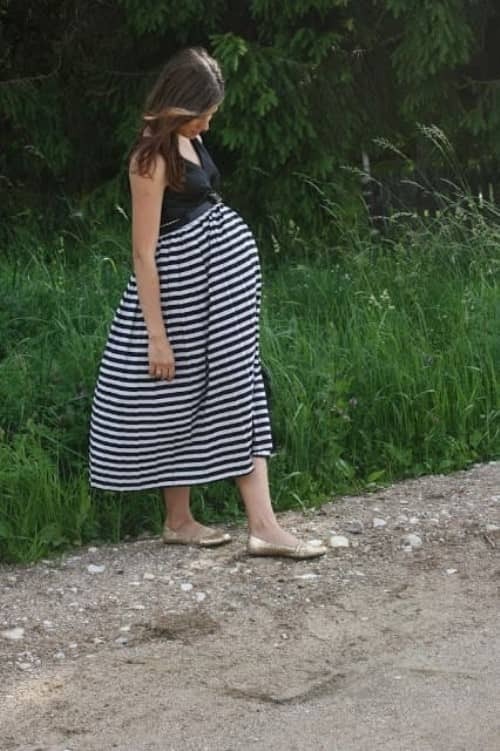 Stripes add extra girth and a ton of pizzazz, so wear stripes to create a funky, exaggerated pregnancy shot. Go on. Be brave. Love fashion? Love figure hugging clothes? 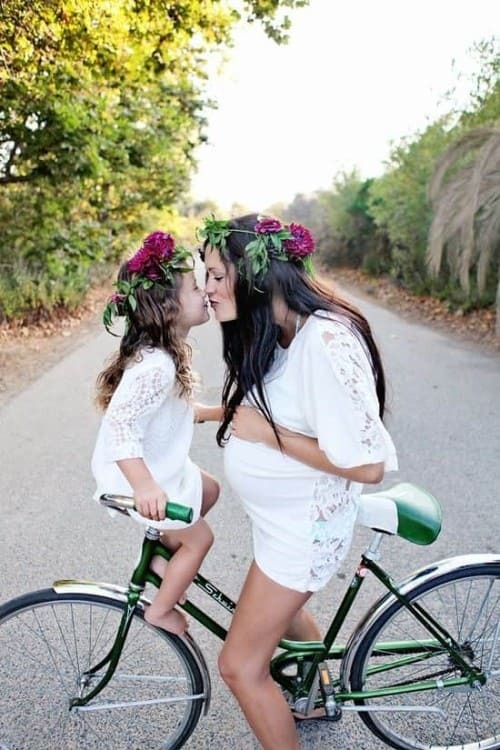 There’s no need to suddenly be all hippy goddess just because it’s a maternity shoot. Dress up and show the world your big, beautiful belly. If you’re feeling a bit overwhelmed by all the attention, add a simple prop like balloons to give your photo balance and presence. Not for the faint hearted, underwater maternity photography adds a special something – an uninhibited enchantment – to the pregnancy experience. Before taking on such a challenge, choose a professional photographer with a rich portfolio who knows what they’re doing. Get outside, bask in the sun and play with shadows. Discover the magic of monochrome. While it’s possible to convert your colour photos to monochrome, for the best results ask your photographer to shoot directly in black and white. Is future Daddy also getting bigger? Involve him in the maternity photos for a few laughs. If you’re ready to pop in Winter, it can make for a gorgeous background. Don’t get the chills though – be sure to rug up in something gorgeously woolly. Haven’t told him yet? Get sneaky! Set up a secret ‘his and hers’ photo shoot and surprise him with the news! 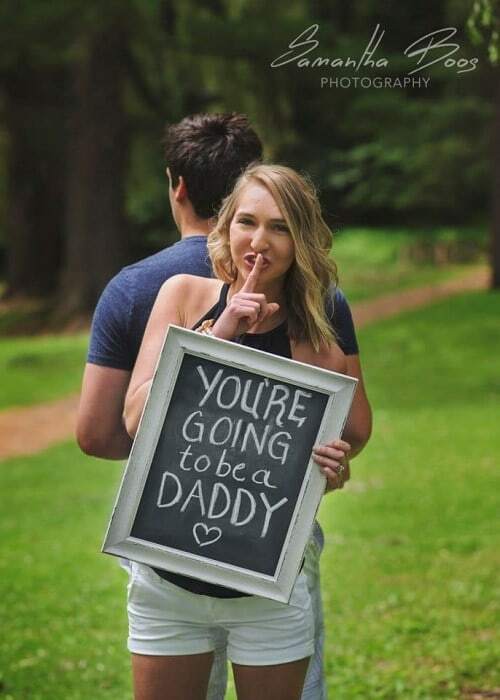 16 Of The Best Pregnancy Announcements Ever!